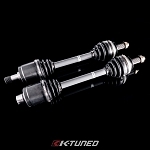 Application:EG/DC/EK mounts K-Series 475HP Level 2.9 Axles. The unbelievable Level 2.9 axles are now available. These axles are for the extreme street/track machine and designed to handle 475HP forced induction or all-motor (yes that's right) at the wheels. These axles are the result of our extreme track testing. 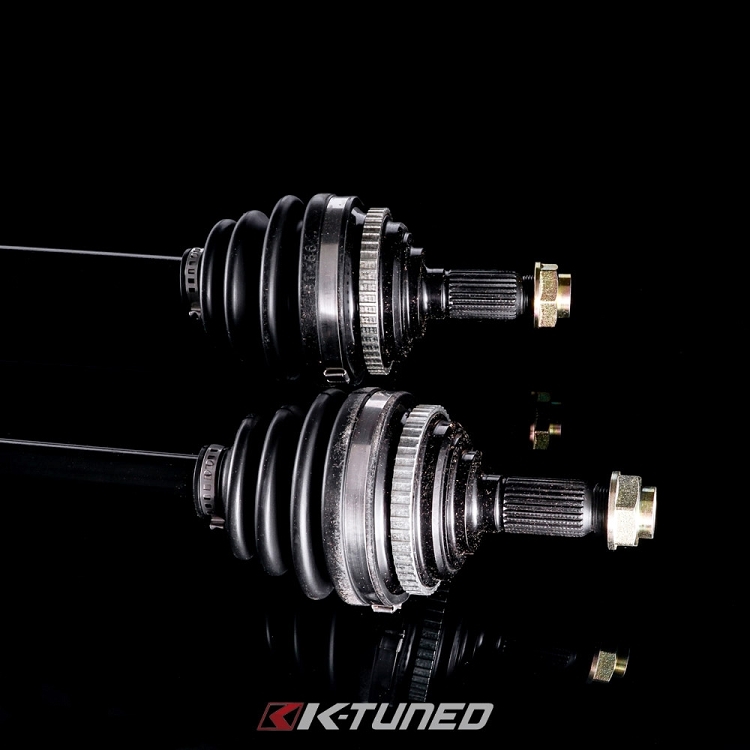 The inner and center bar is borrowed from our track tested Level 3 system, using a new proprietary material and our solid torsional center bars, chromoly spline plug and high grade ball and cage inner housings that are stronger and better suited for axle angles on lowered and swapped cars than the tripod style inners. What really makes these axles stand apart from the rest is the new outer cv made from high grade chromoly that has one of the wildest heat treats known to man. During destructive testing it broke a 300m bar!!! 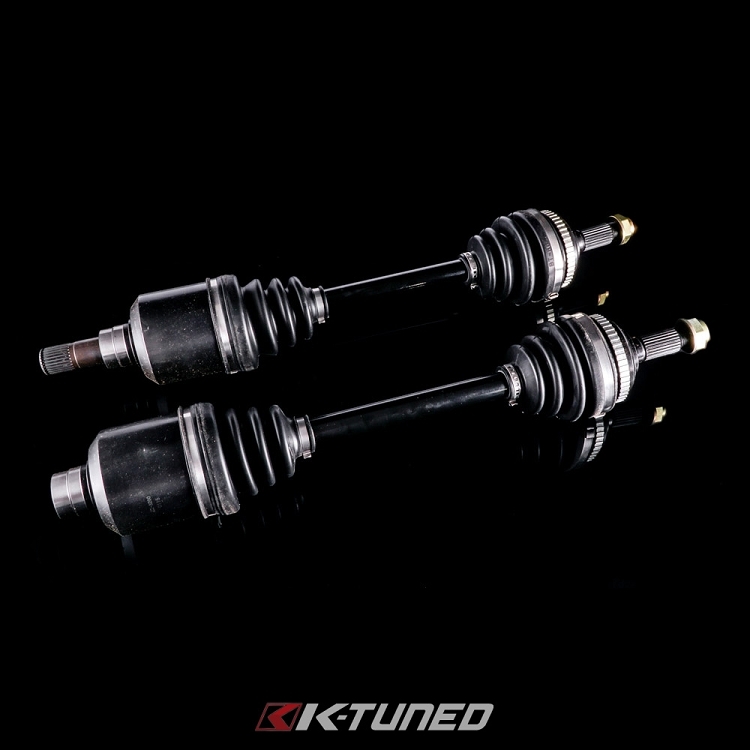 It's designed to fit the standard 26 spline size of the Honda/Acura platforms and these axles come with removable ABS rings. Are you ready for the next major level? Price is for both left and right axles. 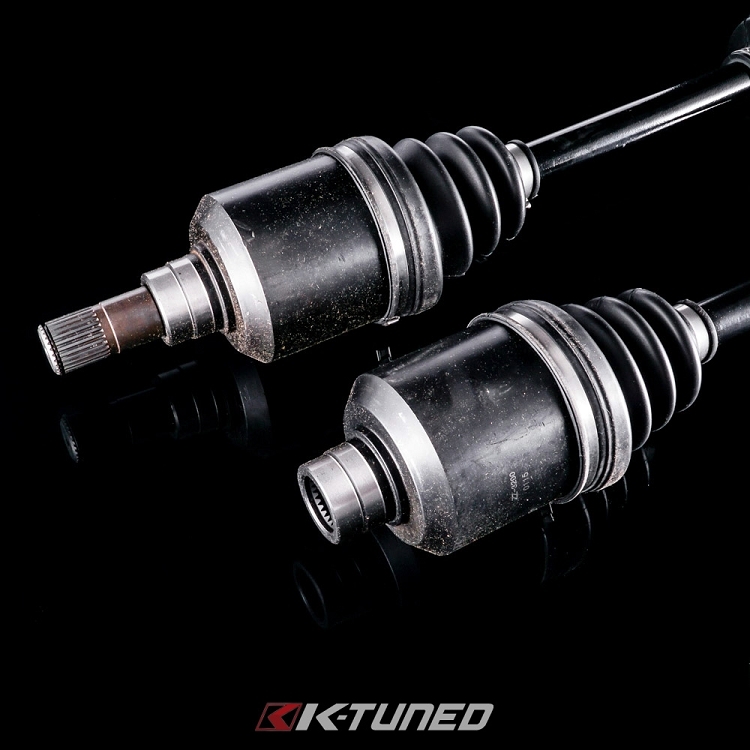 Please Note: Must use K20 RSX / EP Civic Si Intermediate Shaft.